Ecobank has said it is harnessing its digital expertise and innovation to bring efficiency and convenience to the international and intra-African remittance markets, while significantly reducing the costs of the service. The launch of the Rapidtransfer mobile application will enable Africans around the world to easily and instantly send money to bank accounts, mobile wallets and cash collection in, and across, 33 African countries. As well as being intuitive, easy to navigate and multi-lingual with English, French, Spanish and Portuguese variants, the application provides simple and secure digital onboarding. Users can choose how and when funds are delivered to the intended beneficiary, with transparent foreign exchange rates prior to each transaction. Charges range from nothing to 3 percent depending on the options the customer selects. “Historically the cost of sending cross-border remittances in Africa has been far too high. Similarly, the process to send funds has long been inefficient and burdensome, with customers forced to physically go to an agent, and yet still have little or no clarity as to when the money will reach the recipient,” said Ade Adeyemi, Ecobank’s Group CEO. 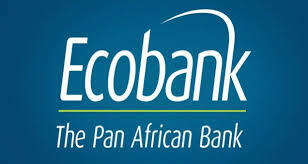 He further stated that the application further demonstrates Ecobank’s commitment to enhance the economic development and financial integration of the African continent. “We know that remittance flows into and across Africa from migrants working away from home has an enormously beneficial impact in powering Africa’s domestic economies,” the Group CEO noted. “By reducing the costs to send the money, Rapidtransfer ultimately enables the beneficiary to receive more of the funds originally sent to them, which in turn will have a multiplier effect on national economies by boosting demand and driving business growth,” he pointed out. In the first quarter of 2018, the average cost of sending US$200 was 7.1 percent and remittance services in Sub-Saharan Africa were the costliest in the world at an average cost of 9.4 percent. A substantial proportion of migrants financially support their dependents back home and the potential size of this remittance market is illustrated by the United Nations’ estimate that the number of international migrants, including refugees, was 258 million in 2017. Money transfers from migrant workers and others to all countries worldwide were US$613 billion in 2017 and those into Sub-Saharan Africa grew by US$4 billion to US$38 billion in 20173.